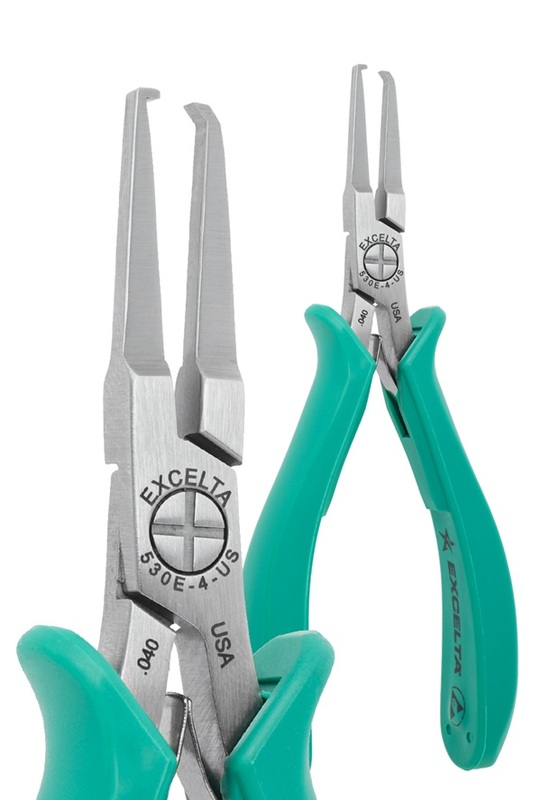 The long thin tipped 530E-4-US series anti-shock shear cutters reduce shock and are designed with long thinner tips to fit between connector pins. The tip width is .100" (2.5mm). They feature dual leaf springs for smooth action. Please Note: if items are Out of Stock they should ship within 8-10 weeks of order placement.